In this quick review of brokedishwasher.com I’ll be going over exactly what it is and telling you if I think it’s a scam or not. Did their 3 step system really help a broke dishwasher make $114,501 in 90 days, or are they just lying to get your money. I’ll be answering those questions and many more within this review so stick around! Is Broke Dishwasher Recommended? NO! 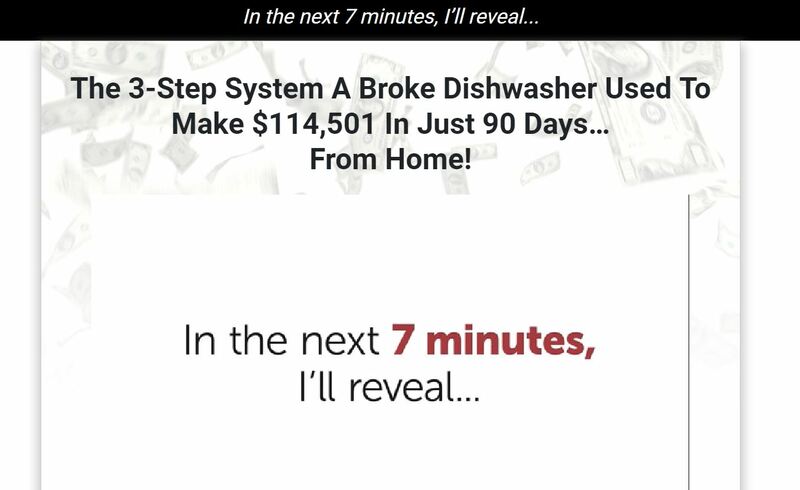 Broke Dishwasher claims to be an incredible program that was able to take the creator from being a broke dishwasher to an internet guru making hundreds of thousands of dollars online. Apparently the creator “Teo Vee” has achieved an incredible life thanks to a system given to him by a 14 year old? He claims that all he has to do is drag and drop a few pictures, and click a few times. Now he’s here to offer you the exact same system he used to become rich, for the low price of $97. If that sounds a bit too good to be true to you, that’s probably because it is. What Is Broke Dishwasher Really? As soon as I heard the name Teo Vee, I knew exactly what this system actually was. As it turns out “Broke Dishwasher” isn’t even a real program, it’s just a sales page that’s trying to mislead you into joining another program. If you decide to actually cough up the $97 to join, you’ll actually be signing up for a program called My Ecom Club. My Ecom Club is actually a legitimate online training program that teaches you about E commerce. However there are several reasons why I do not recommend you sign up for that I’ll be getting into shortly. There are a ton of websites out there just like brokedishwasher.com that try to mislead people into signing up. Ecom Cash Code, Get This Plan, and The Ecom Freedom Blueprint are just a few of the dozens I’ve reviewed in the past. There are several things you need to know about this system before joining, and this is where I’ll list them out. The next few sections I’ll be going more depth about what I mean with the points listed above. Now I obviously can’t promise that a 14 year old kid didn’t really teach him how to make money online. But I mean come on, that doesn’t even seem remotely true. One thing I can promise (seeing as I make my living online) is that making money online isn’t as easy as they make it seem. I hate to break it to you, but any “system” that claims to be able to make you $100,000+ in a few months is lying to you. Especially if they tell you that you can do that just from moving some pictures around and clicking. Don’t get me wrong, it’s certainly possible to make good money online, however it takes a good amount of time and effort. $97 Is Just The Beginning! Remember I said I don’t recommend signing up for My Ecom Club? Well this is why. When I say expensive, I mean they range from $1,997 all the way up to TENS OF THOUSANDS OF DOLLARS. If you don’t believe me, just go over to my full review of it here, scroll down to the bottom, and read some comments. One thing I want to make very clear is the fact that after paying the $97, you could literally get anything. Just because it’s My Ecom Club when I’m writing this review, doesn’t mean that’s what it will be tomorrow. Notice how the checkout page doesn’t have a specific name for what your actually purchasing. For all you know it could be signing you up for a full on scam that will take more money then you want or something. Is Broke Dishwasher A Scam? I didn’t actually sign up for whatever they are offering at brokedishwasher.com because it’s way too shady. So I can’t say with 100% certainty that it’s a scam, however I will say that it should NOT be trusted. I strongly recommend that you avoid signing up for this system, because of all of the reasons I listed out in this review. If you’re interested in actually making money online, and you’re willing to put in the time and effort it takes, then I have a suggestion for you. 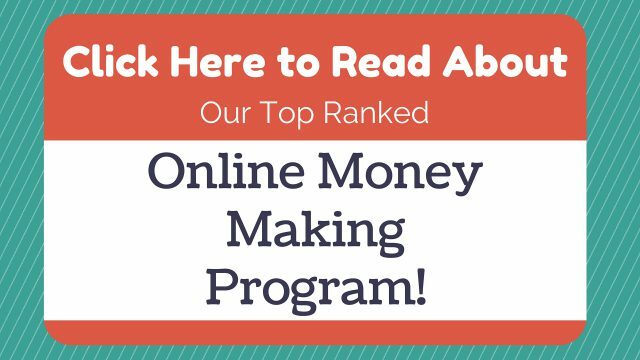 My Top Ranked Program gives you all of the training, tools, and support you need to make a money online! Since joining their platform I’ve been able to make enough money online to quit my job and work completely from home! Keep in mind that it’s NOT some get-rich-quick scheme, it’s a training program and tools platform. They give you what you need to make money online, but you have to actually implement the training, and put in consistent effort. Is Brokedishwasher.com A Scam? What Do You Think? Let Me Know In The Comments Below!